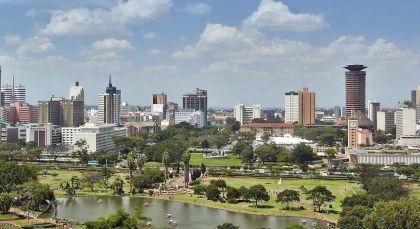 Embrace an East African safari tour that leaves you time to unwind! 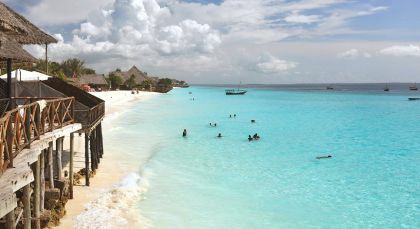 Enjoy balloon safaris over Kenya’s Masai Mara, then catch your breath on the magical spice islands of Zanzibar. 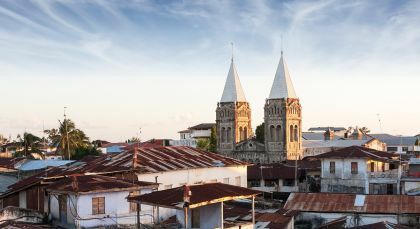 Explore historical Stone Town and head out on a sunset dhow cruise, or go swimming with dolphins! Laikipia in central Kenya offer exclusive nature and wildlife experiences far away from the beaten path and in diverse scenery – from the edge of the Great Rift Valley, to the peaks of snow-capped Mount Kenya, with vast plains and verdant grasslands, interspersed with rocky hills, rivers, and waterholes. Experience stunning sightings of rhinos and prides of lion set against the evocative backdrop of majestic Mount Kenya on game drives in the Central Highlands. 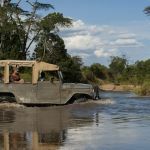 The best time for game drives is in the early mornings when the animals are particularly active and in the late afternoons when the sun paints incredible colors across the horizon. You could also enjoy nature walks and little hikes with an experienced naturalist and guide to stretch your legs. Experience the thrill of getting up-close with wildlife and discover the small wonders of nature. Sip on a bush sundowner to refresh yourself at the end of a long day, followed by bush dinners. 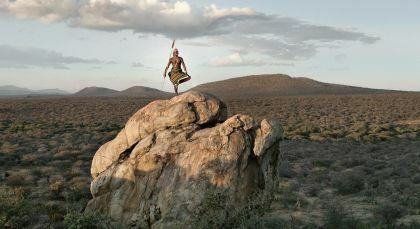 Your tour will also include a visit to a local Maasai Village as well as a Rhino Sanctuary. You could also enjoy leisurely picnic breakfasts as you soak in the wild landscape surrounding you. 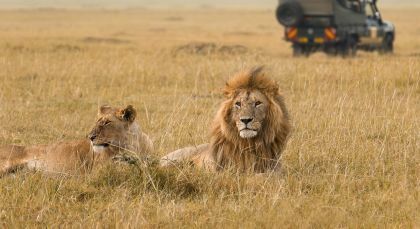 Enjoy wonderfully diverse game drives in the Masai Mara and the bordering exclusive conservancy. The best time for this is in the early morning when the animals are particularly active and in the late afternoon when the sun paints incredible colors on the horizon. You also have the opportunity for exciting night drives to observe rarely spotted nocturnal wildlife. At an additional cost, you could also enjoy wonderful bush walks with an experienced guide to stretch your legs, experience the thrill of getting up close to wildlife, and discover the small wonders of nature. Enchanting Travels made for an unforgettable honeymoon! We so appreciate their attention to detail, thoughtful recommendations and helpful insight all the way through. They truly delivered and we will never forget this trip!